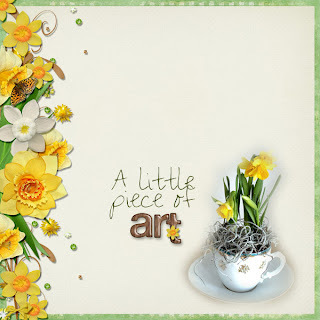 My Scrappy Shack: Lovely daffodils! When the daffodils pops up in the garden you know it's spring! This lovely creation I bought from a couple of girls selling these in our neighborhood, so sweet and talented girls! 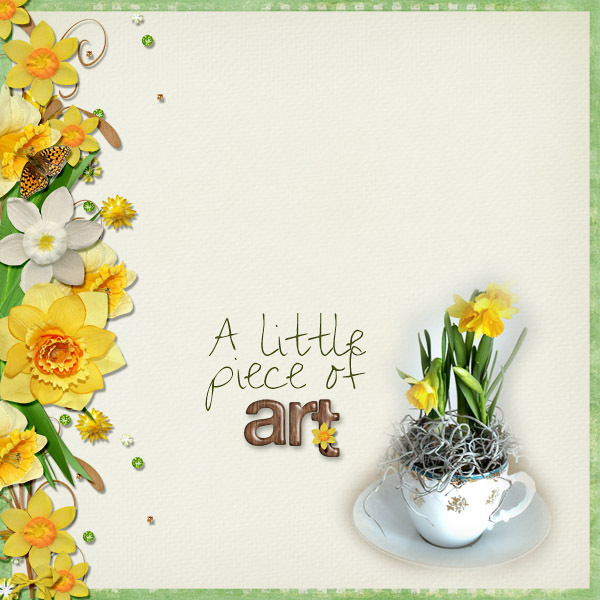 I've made this with the new Daffodil Daydreams kit by Aimee Harrison Design Studios.